In the winter months it is fair to say that your carpets really do suffer. There are many reasons as to why they do, and this information has been put together in order to outline how this happens. It is also our aim to offer assistance and solutions to this issue. Many of our clients call this time of year, concerned at the state of their carpet. However, they are sometimes unsure as to whether this time of year is the right time to clean their carpets. Our advice is that routine maintenance undoubtedly helps to extend your carpets lifespan. 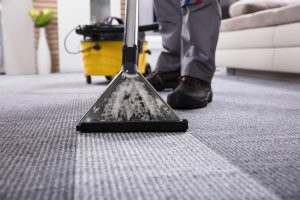 Leaving your carpets until a point whether they are ingrained with dirt and stained means that the process to clean them needs to be more intensive. This intensive cleaning, although it can yield great results can sometimes work better with more regular, routine cleaning. Did you know that we offer maintenance plans for your carpets? Many of our clients, once they have experienced our professional cleaning services want to make the process straight forward. This is managed through a tailored maintenance programme, specific to their requirements. So Why is Winter So Bad? As well as wet weather, winter brings with it a host of other issues. Especially when we have snow and ice. When the weather is bad dirt, salts, mud and other particles are brought in on shoes. These particles work to deteriorate the surface of your carpet and the fibres. Salt is particularly bad for carpets as it has corrosive properties. If you would like to find out more about our carpet cleaning and carpet stain removal services, please call today on 0800 695 1118.